The premises are arranged to provide some 2,125 sq ft of NET useable accommodation arranged in cellular format, together with WC and Kitchen facilities. The premises are reasonably well presented providing basic but useable accommodation with good natural light. 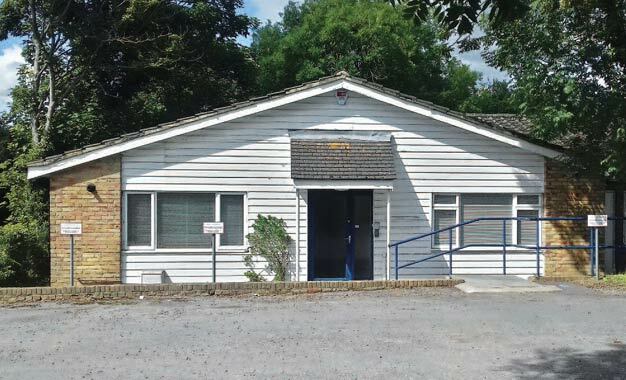 The offices are carpeted and benefit from perimeter trunking, gas-fired central heating via wall mounted radiators, entryphone, intruder and fire alarm systems and on-site car parking for 6 vehicles. It is possible that the offices could be reconfigured as to provide a more contemporary open plan environment. The premises are located in Shalford which is located some 1½ miles from Guildford Town Centre and 3 miles from Godalming. Access to /from Shalford is good with the A281 (Horsham Road) being located directly in front of the property. Shalford main-line station is located adjacent to the premises and provides a regular service to London Waterloo (via Guildford) and Gatwick Airport (via Redhill). Anchor House, Station Road, Shalford. GU4 8BY.